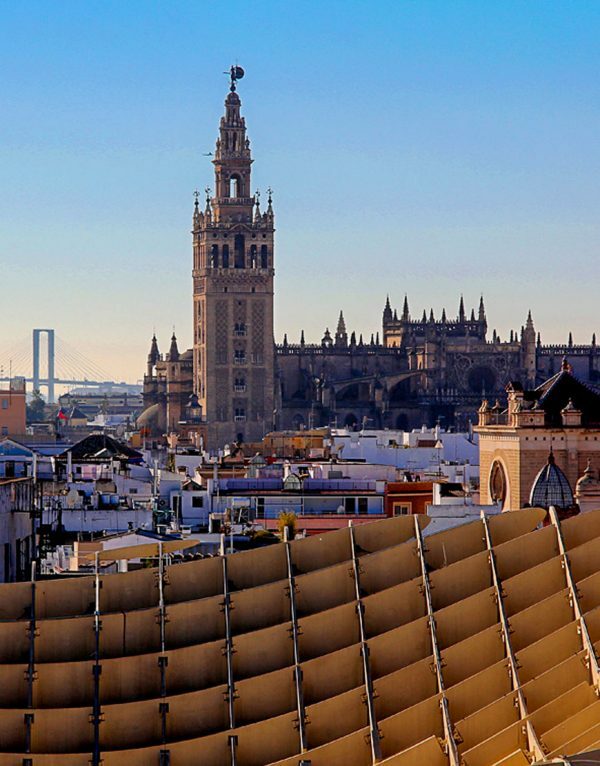 Guided tours to know Seville. All the necessary information below. The Cathedral of Seville is the Gothic Christian cathedral with the largest area in the world, which is why Unesco declared it a World Heritage Site in 1987 and, on July 25, 2010, a Site of Outstanding Universal Value. 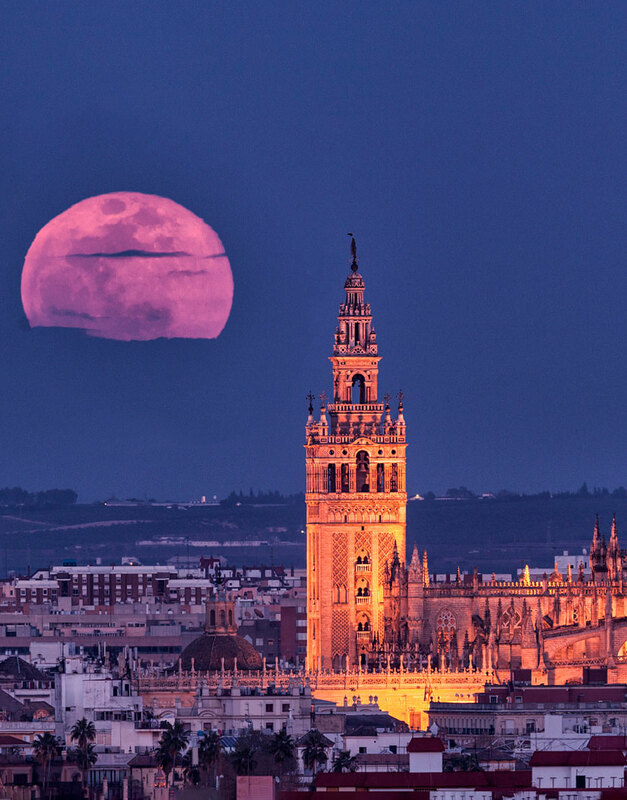 Includes: Ticket to monument (Cathedral of Seville). / Local guide. Departures: Monday to Saturday (except December 25 and January 1). Place of departure: Tourist office in the Plaza del Triunfo. Languages: Guaranteed visits in Spanish, English and French. Guide: Accompaniment during the entire visit by an Official Guide of Seville, member of the Professional Association of Tourist Guides of Seville (A.P.I.T.). Form of payment: Payment in advance, by credit card (except AMEX) or bank transfer. More information: Telephone: +34 958 918 029. Movil: +34 677 417 790. 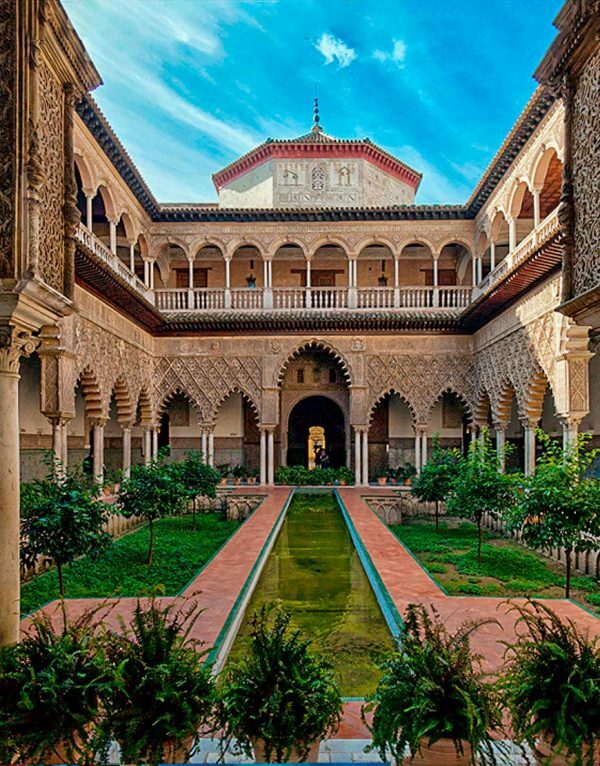 Join a Group and enjoy a walking tour of the Barrio de Santa Cruz and a guided tour of the Cathedral of Seville and Real Alcázar. *On Sundays and holidays the Cathedral will be replaced by the Casa de Pilatos. Price: Visit: € 43 per person (VAT included). Children, 6-11 years 50% off, 0-5 years Free. 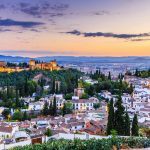 Includes: Ticket to monuments (Cathedral and Real Alcazar). / Local guide. Departures and duration: Monday to Saturday (except December 25 and January 1). 3 H.
Departure time and Place of departure: 10:45 am. Monument to Christopher Columbus (Jardines de Murillo). Management and tickets: € 24.50 per person (Alcázares Cathedral). Children up to 14 years old free. Rental of hearing aids: € 2 per person. Obligatory for groups of 8 or more people. Duration: From 3 to 4 hours approx. 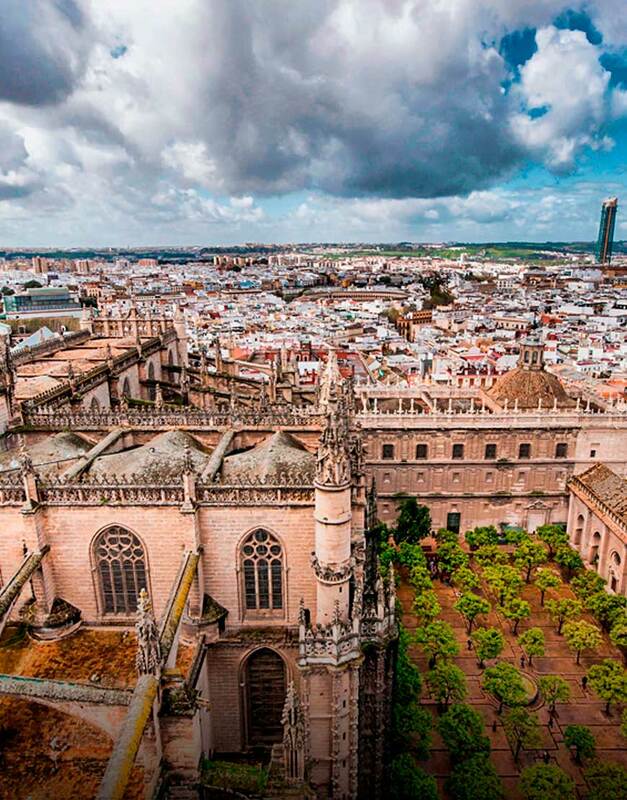 Itinerary of the visit: Reales Alcázares (Gothic, Mudejar, Renaissance palaces, gardens) - Barrio de Santa Cruz (old Sevillian Jewry) - Cathedral and Giralda. Languages: Request the language of the visit, we have guides in Spanish, English, French, German, Italian, Portuguese and Dutch. Price: € 61 per person (VAT included). Children, 6-11 years old € 29 (50% discount), 0-5 years old Free. 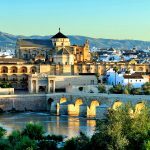 Includes: Pick up at hotel or place assigned by the Panorámica agency in minibus of the Tobacco Factory (University of Seville), Isabella II bridge. 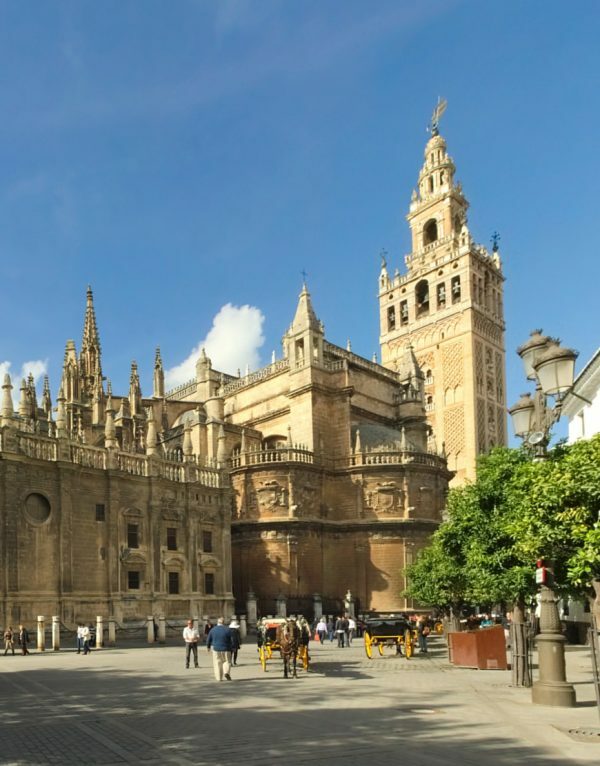 Guided tour of the Cathedral of Seville. Guided tour of the Reales Alcázares. Guided visits to the Santa Cruz neighborhood. Tickets: The visits include the entrances to the monuments. Duration and departures: 3 and a half hours approx. everyday. Schedule: begins approximately at 9.15 a.m., at the meeting point that will be communicated in the voucher that will be sent to you, once the reservation is definitively finished. Price: € 82 per person (VAT included). * Children, 6-11 years 50% discount, 0-5 years Free.Includes: Transportation with air-conditioning. Local guide. Itinerary: Walking tour of the Santa Cruz neighborhood. Next, a panoramic tour of the city by minibus and finally visit the Alcazar, Cathedral, Giralda, Plaza de Toros and Crucero. Tickets to monuments (Cathedral, Giralda and Alcázar, Plaza de Toros and Crucero Guadalquivir). Pick up and Return to Hotel. Departures and duration: Every day (except December 25 and January 1) duration 7:00 H.
Place and Time of departure: Pick up at your hotel in the center of Seville or place indicated by the agency at 9:30 am - 10:00 am.